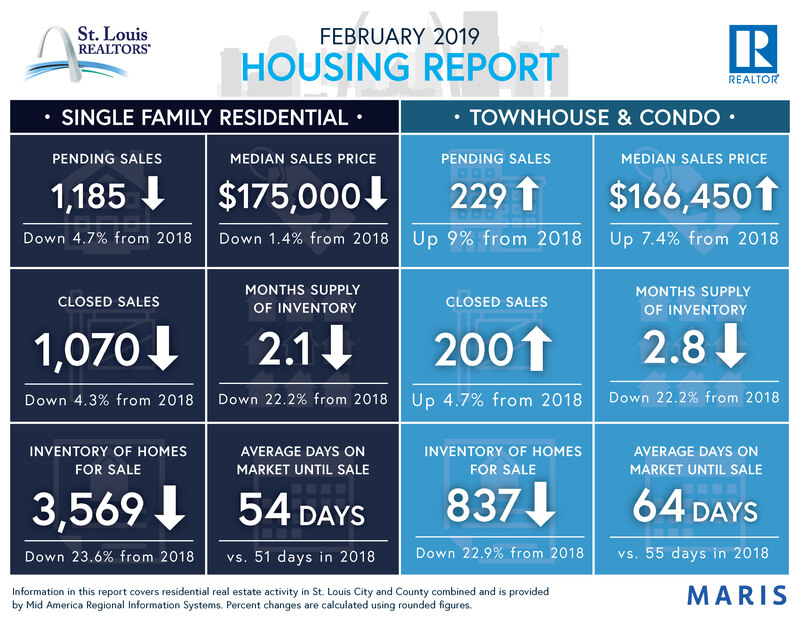 According to data released by Mid America Information Systems, the median sales price of residential single-family homes in St. Louis City and County combined dropped slightly to $175,000 in February 2019 compared to $177,450 in February 2018. February’s average days on market grew from 51 in February 2018 to 54 in February 2019. 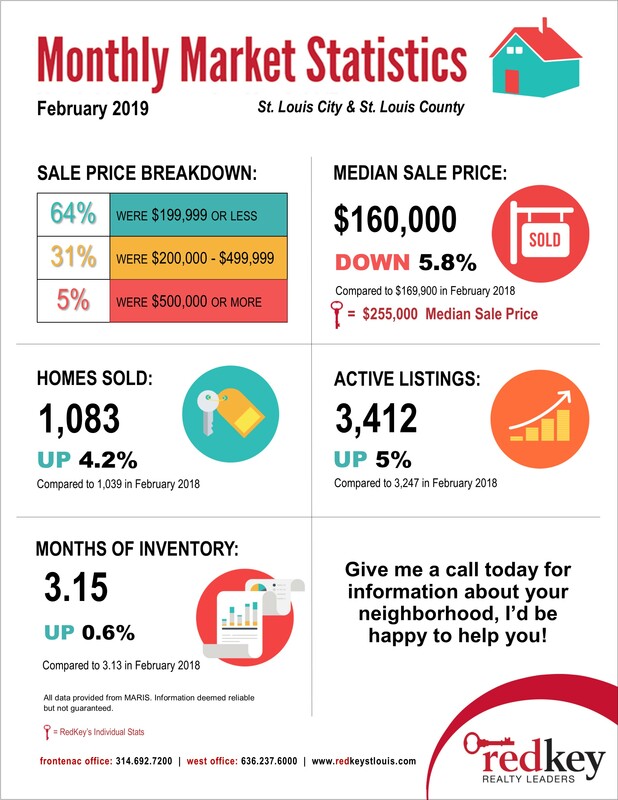 We continue to see a significant inventory decline in the St. Louis area. Residential single-family inventory is 23.6 percent lower than last year. For a different view of the numbers, check out Redkey Realty Leaders report below.